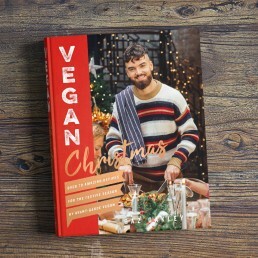 Tempted to try your hand at vegan food but don’t know where to start? Or even just to make meat-free Monday a regular thing? Long gone are the days of vegan food being dull and worthy: Vegan 100 is bold, vibrant and gorgeous. 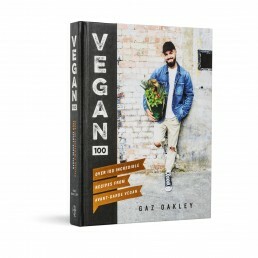 Going vegan was the best decision Gaz Oakley ever made. 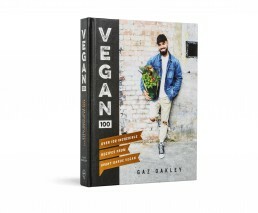 Gaz, aka Avant-Garde Vegan, was once a meat eater and often didn’t feel well. Overnight, he decided to go vegan for the health benefits, for his love of animals and to do his part in looking after the planet. He found that, as a trained chef, it was surprisingly easy to get big tastes and colours into vegan dishes without compromise, and he also noticed an improvement in the way he felt. The emphasis in Gaz’s 100 amazing vegan recipes is first and foremost on FLAVOUR.